Judy Cassidy lives with her husband Jim in a small cottage between a lake and wetland thicket in southwestern Michigan. They raised their children and enjoy their grandchildren there. 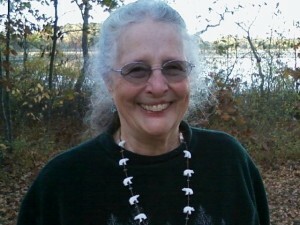 Judy has practiced Zen for many years, loves a nature walkabout, and enjoys writing as a practice in self-discovery. “I deeply resonate with MooingAround,” she says. Her poetry has appeared in the anthology, Star Nose (Catamount Press); Haiku Headlines, Kudzu and the Winter Park Manifest.